Published on October 12, 2015 in Uncategorized. Closed Tags: 2015, greece, Lesbos, lesvos, Moria, registration. Hundreds of Syrians were waiting for hours in Moria to get registered as the computers used encountered technical problems. 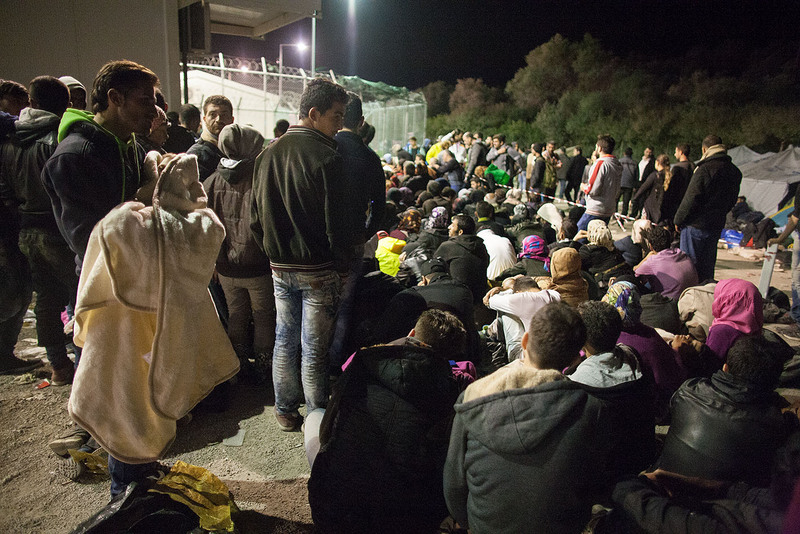 Syrians do now receive also in Mytilene again the 6-months suspension of deportation paper with a photo. Meanwhile only very few No-Syrians arrived to the camp yesterday. 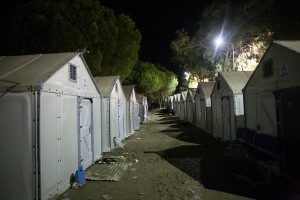 They were again allowed to enter the areal of the camp and use the tents and the bathrooms amongst others. Meanwhile busses brought hundreds of registered Syrians to Kara Tepe which was re-opened and is aimed to host the registered until they leave to Athens. An Afghan woman is searching for their underage nephew. She said he was kept inside the camp upon registration and wasn’t allowed to leave with her and her husband and children. “I don’t know where he is and what happened to him. Can you help me find him?” Only a few minutes later a young Syrian is looking also for his 16-year-old cousin Mohammed. “They took him away inside the camp,” he says. “Why would they do that? We won’t leave him back.” The uncle is desperate. According to Greek law only the mother and father are recognized as legal guardians. Many underage children are thus separated from their relatives upon registration. The separation will last at least as long as it takes for the minor to be transferred to an open reception facility for UAMs. This can take 2 weeks to 1 month in average.